I found this at Walmart at Johnson Ferry Road, East Cobb, Marietta last April. It was only one package left on the lighting section shelves. I only paid US$ 2.00 for this package. I've seen these. 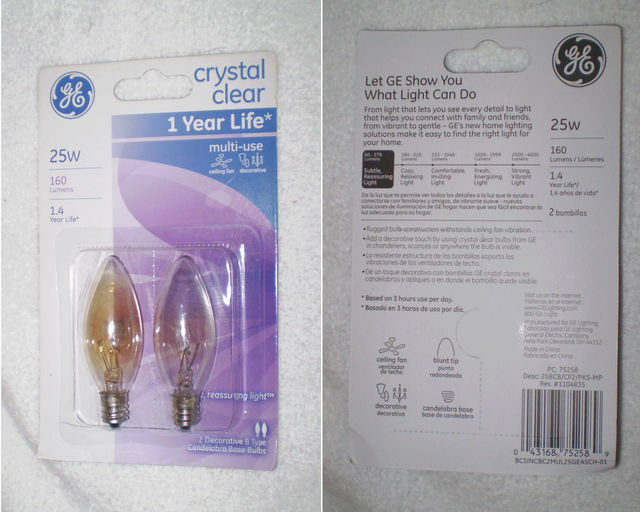 I wonder what makes these bulbs obtain the browned out appearance in the glass? That seems to happen with some small envelope incandescent lamps.